You don't need to go walking around swishing a pointed tail to be a devil anymore. We've known for a while that wickedness is all about the aura you put off. The scent of mischief is really more effective than goat hooves nowadays. Maybe you're a boss when it comes to plotting schemes. Or perhaps you are a keeper of dark secrets. 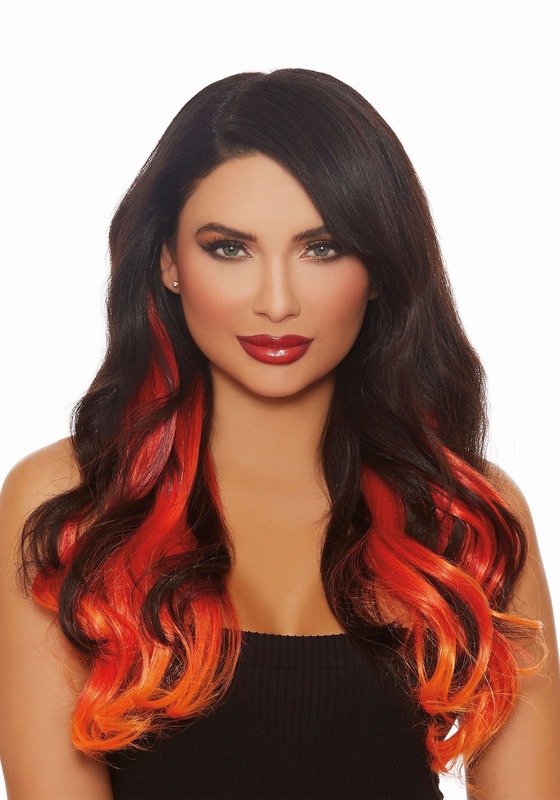 Or, hey, maybe you just want to seem a little fiery this Halloween season. Either way, if you want to own a devilish essence this Halloween season, it's all about the details. 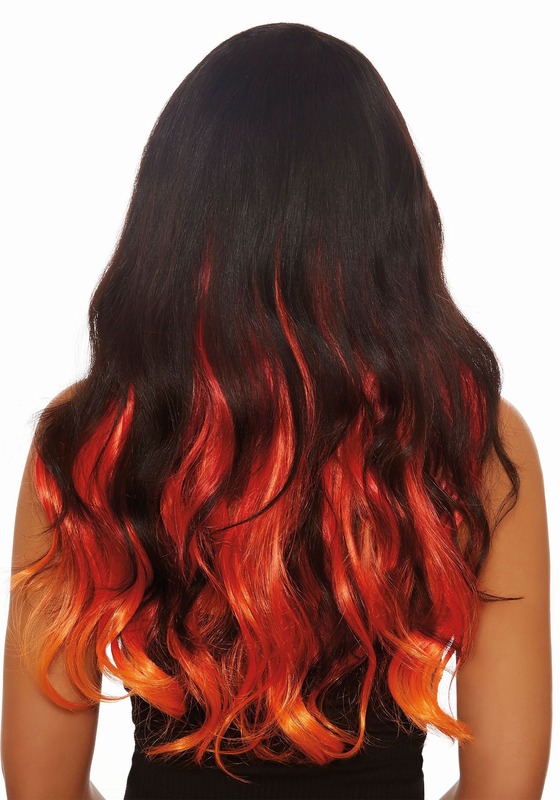 It's easy to get a fiery look with your own hair when you've got this three-piece set. Each clip has a gorgeous red and orange tone that makes it look like you can handle playing with fire. These luxurious strands are twenty-three inches long and come with instructions so you know your look will be top notch even if you're new to hair extensions. And since they're reusable, they are the perfect way to amp up your look at various costume parties throughout the years! Whether you're dressing up as an impish devil or you want a dramatic twist to a witch or vampire costume, you're sure to love how elegant these locks make you feel. As we all know, it's the details that bring a costume from cute to Instagram gold. So, don't stop halfway, take your ensemble to a whole new level! As we all know, wicked women have more fun. And why? Because they're not afraid to play with fiery looks!